It’s true. 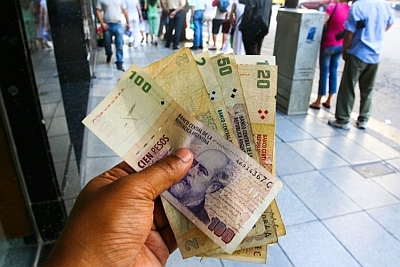 Slate’s Joe Keohane’s was recently down in Buenos Aires for the holiday where he stumbled upon a curious financial phenomenal creating annoyance (and even some savings) in the streets of Argentina: they’re running of money. Well, the one-peso coin to be exact, which is a big deal when you consider how often it’s needed. As the article describes, this is leading to some interesting consequences such as subway workers undercharging for fares when change is limited, or street vendors refusing sales of candy bars when the transaction would lead to them parting with their precious ones. Some are saying that the country has plenty of ones, the problem is that people (or more specifically, the evil bus companies) are simply hoarding them. Here in the U.S. I’ve been busy hoarding commemorative quarters with their backs dedicated to the state of South Dakota. Call me crazy, but those suckers are going to be worth something one day, just you see.